Hello, and welcome. I'm trying to wrap up my Halloween projects within the next few days. I found this cute package of Swanky Hankies with the cat on it at Wal Mart. 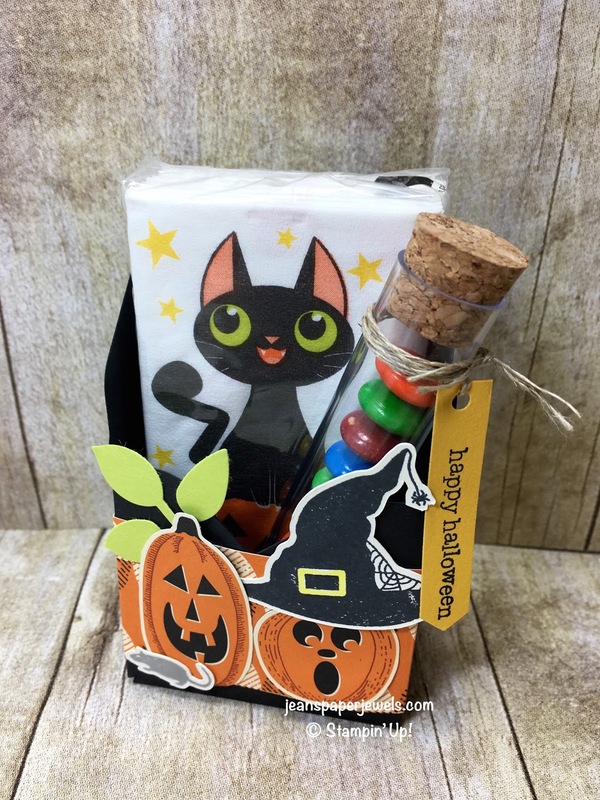 Our Spooky Nights Designer Series Paper was perfect to decorate the box. I used a 6" x 6" piece of Basic Black Cardstock along with our Envelope Punch Board to make the base. Punch and score at 2", and 4" on 3 sides, then just punch on 2", and 4" on the fourth side. I will post an instructional video on my Jean's Paper Jewels Online Facebook Page next week.